A very early 1961 Jaguar E-Type Series 1 Roadster is to be restored by Classic Motor Cars, the world renowned Jaguar restoration company. This car was the thirty-fourth to leave the production line and is one of the very few early 3.8-litre ‘flat floor’ right hand drive Jaguar E-Type roadsters that has remained unrestored. 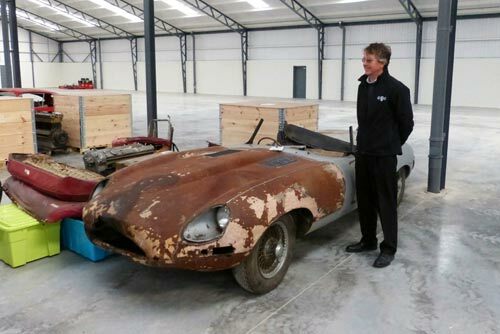 Nick Goldthorp, Managing Director at CMC, said: “This original right hand drive E-Type went out to America around 1980 and has been there ever since until it was brought back to the UK in 2011. CMC is famous for having restored some of the most historic Jaguar E-Types, including Lofty England’s Chassis No. 4, the Lindner-Nocker Lightweight and 1VHP, the first RHD Coupe off the production line. 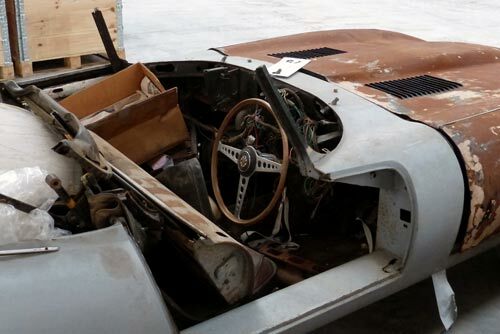 They are currently restoring another early flat-floor E-Type, Chassis No. 60. These early E-Types were labelled ‘flat floor’ due to the lack of a dropped floor area that increased the leg room and was added in subsequent cars. The company will start restoring Chassis No. 34 for a client towards the end of May.